Cologne 2014: Are you ready? The stage is set and the players are ready. The ESL One Cologne 2014 CS:GO Championship is about to begin! As a reminder, you’ll be eligible for exclusive souvenir packages when you watch the event on GOTV or on Twitch with a linked Steam account. Planning to watch on GOTV? Live matches will be highlighted in CS:GO’s Watch menu throughout the event. 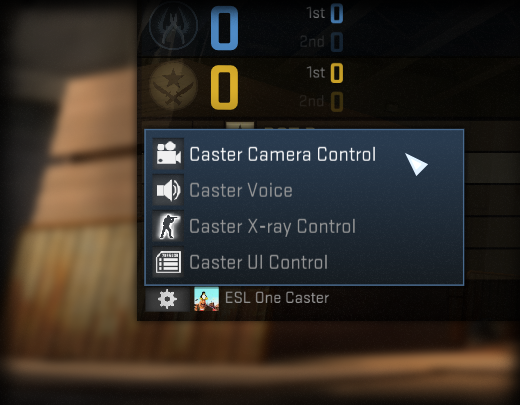 Bring up the scoreboard and you’ll have a chance to enable a host of caster options, including caster voice, camera, and UI control. The best teams in the world are about to fight for their share of the $250,000 prize pool. Don’t miss it!